State Senator Carol Liu (Glendale) recently introduced SB 608. This measure would enact the “The Right to Rest Act” which would establish the right to sit, stand, lean, kneel, squat, sleep or lie in any public space. Public space is defined as “…any property that is owned, in whole or in part, by any state or local government entity or any property upon which there is an easement for public use and that is held open to the public, including, but not limited to, plazas, courtyards, parking lots, sidewalks, public transportation facilities and services, public buildings, shopping centers, and parks.” It also establishes a private right of action for anyone denied this right. 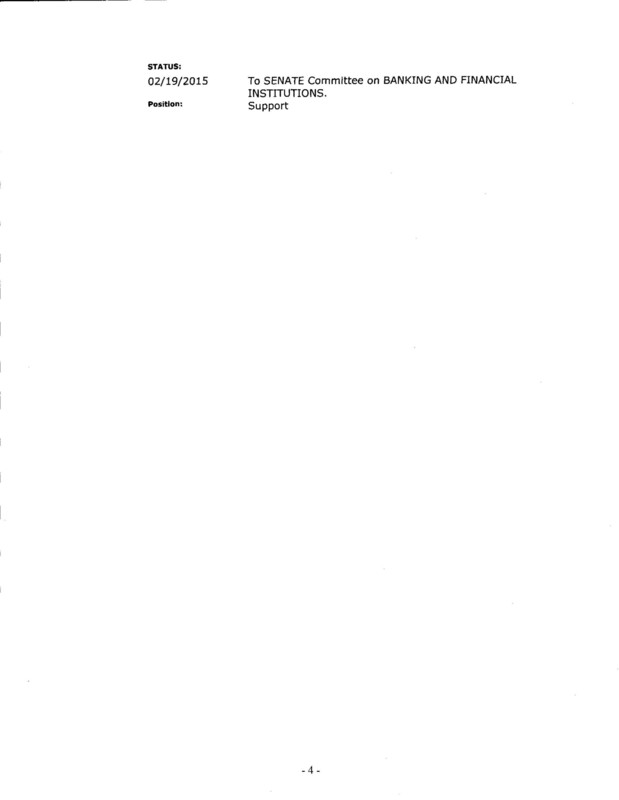 For your convenience, a link to the complete bill text is provided below. AB 12 has been introduced by Assembly member Cooley. This is a common sense bill that Small Business California will be supporting. The bill would require that each affected state agency review all regulations for duplicity, overlap, etc. and provide a notice of public hearing so that all can review the agencies findings. I don’t usually send anything this long in an email but please see bills Small Business California is sponsoring or supporting below. 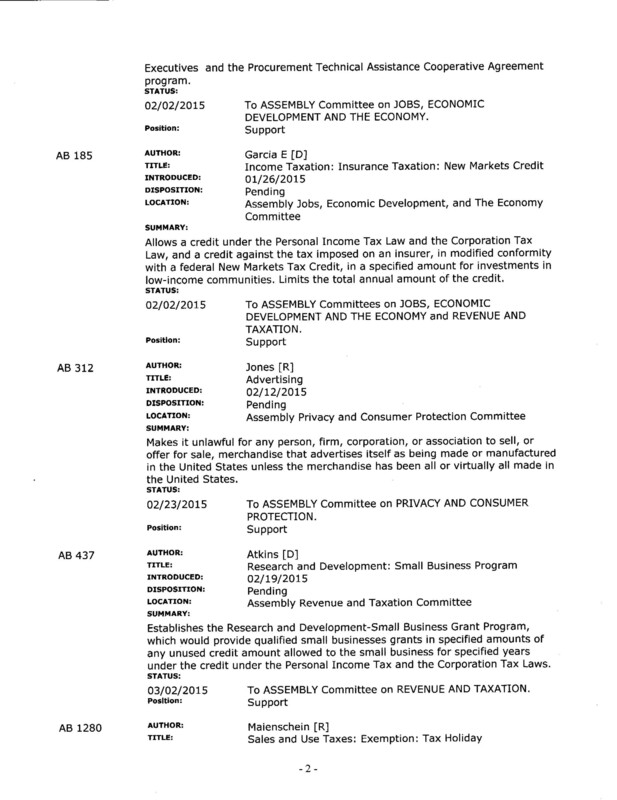 On AB 722 we got 23 small business associations to cosign a letter of support. We also have the support of a couple unions. The Bay Area Council is also considering supporting. If you would like a copy of the letter please let me know. I debated whether to send another email today after yesterday's but I can’t withhold good news. In the Executive Newsletter today, they announced that the Workers Compensation Insurance Rating Bureau is considering a midyear recommendation that rates be reduced by the high single digits or low teens. It has been a long time since recommendations have been made to reduce rates. Keep in mind the companies do not have to take the Bureau's recommendation, but there will be a lot of pressure to do so. One major reason for this was the passage of SB 863. 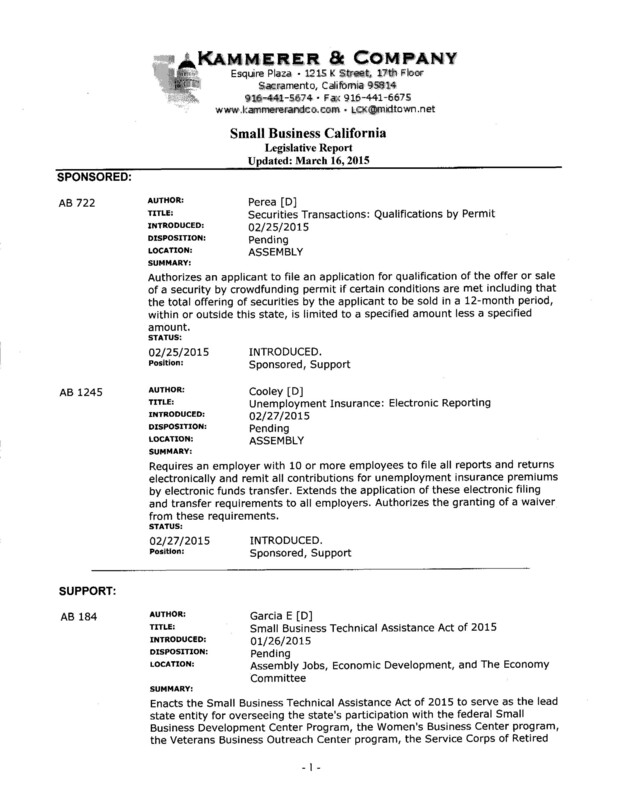 Small Business California was a strong supporter of SB 863. We also brought in 20 associations that supported the bill and got over 200 support letters. A big thank you to Christine Baker, head of the Department of Industrial Relations, who was one of the architects of the bill. SB Cal worked closely with her in SB 863's development. 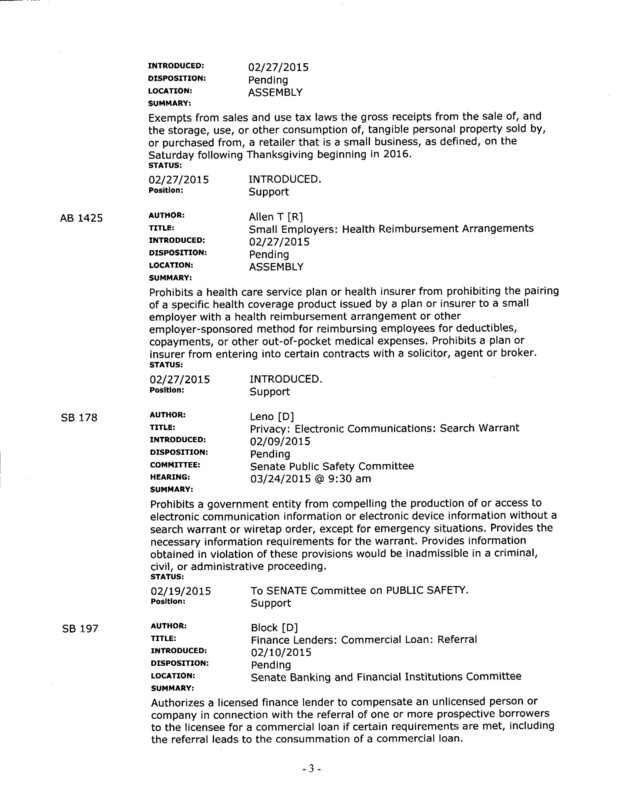 In an email yesterday, I gave a list of bills Small Business California was sponsoring. One was AB 722 which is going to help start-up companies and growth companies get equity capital of up to $1 million. This bill would reduce the cost of a crowd funding offering and allow general solicitation of non-accredited investors. It would not allow telephone solicitation. It would also put in place a number of protections for investors in crowd funding offerings. Board member Mark Hiraide, a securities attorney, is the architect of this bill. I received a call from an SF Chronicle reporter asking for small businesses that could be helped by AB 722. If you are in the Bay Area and would be interested in talking to her, let me know. For the rest of you in California, I would like to know if you would talk to a reporter as I expect we will have future calls for media around the state. Please see information below on seminars in Sacramento and San Diego. Janelle Green, who sent this to me, is with GoBiz. Thank you Janelle. The U.S. Department of Energy (DOE) Office of Energy Efficiency and Renewable Energy is hosting several Energy Industry Day events to promote and publicize opportunities for small businesses seeking to meet DOE support requirements. Opportunities will be available for attendees to learn of potential partnerships with prime and subcontracting companies. These Energy Industry Day events would both support the agency's commitment to DOE's "Small Business First Policy" and would provide dedicated sessions that introduce Energy Service Companies (ESCOs) and other prime contract holders with small business. Energy Industry Days will involve remarks from senior-level DOE Officials, large prime contracting ESCOs, and federal building energy managers. Meetings will also include speed networking sessions designed to facilitate discussions of partnering opportunities between small business and Energy Service Companies (ESCOs) on current and possible future requirements. Space is limited and attendees must register by visiting http://energyindustrydayswest.govtools.us. Do you provide health insurance to your employees? Do you know if you have a grandfathered plan? In 2016, grandfathered plans will be eliminated. Note, this is different than what is written below because the legislation only extended grandfathered plans to 2016. I have heard estimates that 70% of small businesses have grandfathered plans. Please read below as you may be seeing significant increases in your health insurance premiums. The information below was prepared by Covered California. On March 5, 2014, the federal Health & Human Services Agency announced a two-year extension for individual and small group health plans (1-50 employees) that allows issuers to continue policies that do not comply with the Affordable Care Act standards. At the option of a state, individual and small businesses would be able to keep their non-compliant coverage into 2017, depending on the policy year. 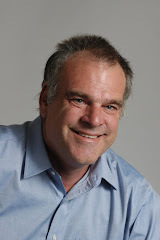 Legislation has been introduced, SB 1446 by Senator DeSaulnier, to implement this option for small groups in California. Employers & Employees: There are about 250,000 employers who now offer health coverage in today's small group market. These employer sponsored plans cover about 2.2 million individuals. Timing. Approximately 1/3 of the overall California small group market renews in the first half of the year, and approximately 40-50% of the market renews in November and December. Thus, a majority of the market has yet to become effective on new rates which reflect ACA provision related costs. Employers receive renewal rate information approximately 75 days prior to their effective date. Potential Market Impact. Current market conditions will result in the above rate impacts to a significant number of small groups in late 2014 as they move to Affordable Care Act compliant plans. Legislation to delay rate increase may have more groups extend current coverage. In either circumstance, it should be expected that that there will be some market disruption for small group employers once being required to move to Affordable Care Act compliant plans. In response to associated rate increases, these employers are likely to seek options to reduce costs, which could induce dropping coverage. Potential Impact to SHOP. Delay in the requirement for small businesses to move to Affordable Care Act compliant plans will correspondingly delay SHOP membership growth. Long-term, there should be little effect on overall membership SHOP will achieve. Small Business California will be sponsoring a bill in Sacramento requiring businesses to file their quarterly wage statements online with EDD. It is estimated that only 35% of the businesses in California file online. As a result of sponsoring this, we were able to get the timeline extended from January 1, 2016 to 2017. We will also be working with EDD in a marketing effort to let small businesses know about this. We are in discussion with the Small Business Development Centers around the state to help with this outreach. There will be a hardship provision which allows a small business without the computer capabilities to file online to opt out of the requirement. The savings to EDD are projected to be 8.4 million, and I really believe that this will be helpful to small businesses as it will reduce the error rate of handwritten filings. It will also prefill information from past filings and the business will get a receipt. Do you currently file online? Do any of you have a payroll service and not file online? What is the best ways to reach small businesses around the state? What ideas would you have to make this outreach effort successful? Yesterday a group of small business people met with people from the Bay Area Rapid Transit people.. There was some discussion of extending BART to the Beach which would mean a second tube from SF to the Eastbay This isn’t going to happen. What was amazing though is they said if they decided they wanted to do this with all the red tape and construction time it would take 30 years. Can you imagine the cost overruns on a 30 year project not to mention the possibility of it being stopped at any point along the way. The Golden Gate Bridge took just over 4 years and the whole Bart system took about 15 to 20 years and this included setting up the governmental structure for BART. Please find the information below on a webinar on Data Breach Recognition and Prevention put on by our friends at NSBA. This is a very timely topic and most small businesses have done very little to protect themselves. Note there is no cost to this. Data breach is becoming an ever current subject. The Identity Theft Resource Center (ITRC) reports 40 million Americans' personal information is compromised annually. How do you protect not only your data but your customers' data? How do you ensure your business is not libel if there is a breach of data? TransFirst, NSBA's Platinum Corporate Sponsor for credit card processing, is offering this free educational webinar to help you learn what you need to know to help protect your business.